The same thing happened last week when I was invited to a friend’s house to eat chicken curry. Whenever somebody cooks me something I enjoy, I immediately ask for the recipe and try to recreate it. But when she tried to explain how she cooked it, her answers were vague and confusing. ‘It was VERY easy! I just added…….’ She didn’t stop talking for 5 minutes. Nevertheless, I wrote it all down and this is my attempt at recreation. The key thing is that after I made it according to the measurements below, I tasted it and then added more of what I thought was necessary – so don’t worry if it doesn’t taste quite right the first time. The key to this recipe (and cooking in general – my father’s mantra) is patience. Don’t try to rush anything – the chicken must be marinated in advance, the onions need time to fry properly and the entire curry must simmer for a good while before eating. Not a recipe to attempt when you’re already hungry! 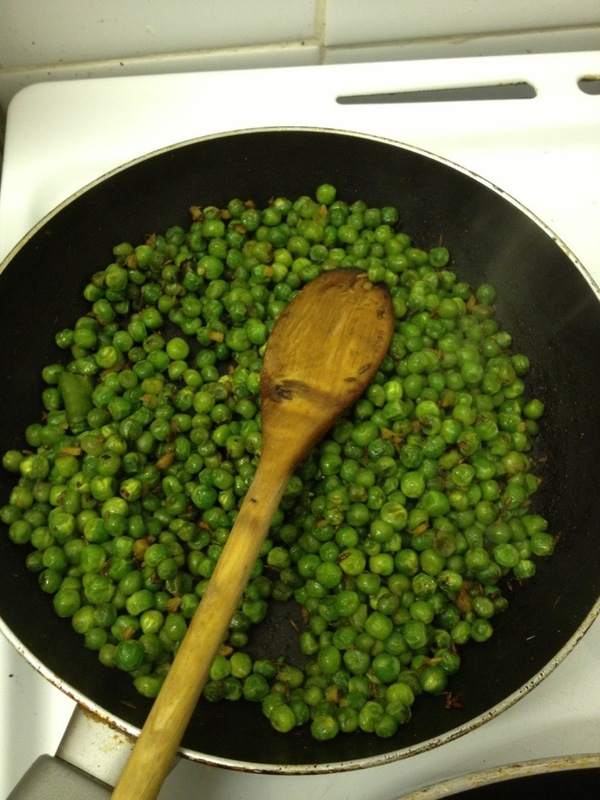 The peas, however, are very quick and easy and make a great side dish to any Indian meal. We also made rice, but rotis or parathas would work just as well. 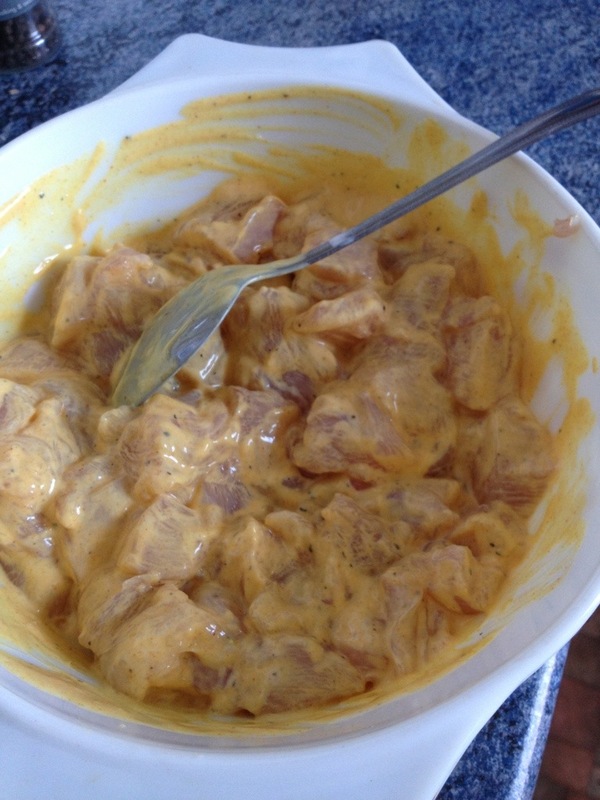 Mix yogurt with spices, add chicken and mix thoroughly. Cover and refrigerate for at least one hour. First, fry the chicken on high heat in 3 tbsp of vegetable oil until it is around 80% cooked before removing from the pan. Wash the pan and add another 4 tbsp of vegetable oil. Once this is hot, fry the onion for about 5 minutes until it is translucent (remember to be patient and fry for longer if necessary). Add the ginger, garlic, green chilis, tomato, cloves and bay leaves and fry for another 5 minutes, until the tomato has disintegrated slightly. Turn down the heat and pour in the milk and water bit by bit, adding the ground cashews, coriander powder, cumin powder, salt, cinnamon and chilli powder as you go. After a couple of minutes, put the chicken back in and let simmer for about 20 minutes. 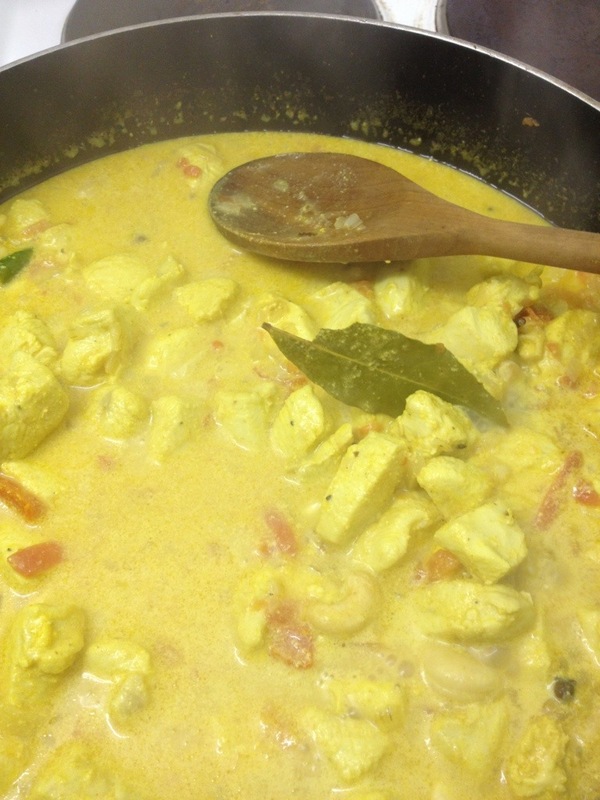 Add whole cashews 5 minutes before the end. At this point, taste the gravy and add more of whatever you feel is necessary! Heat the oil in a frying pan. Once it’s hot, add the cumin seeds and fry for 2 minutes. Then add the ginger and chilli and fry for another 2 minutes. Pour in the frozen peas and stir until they have partially defrosted before adding the garam masala, cumin, salt, paprika and pepper. 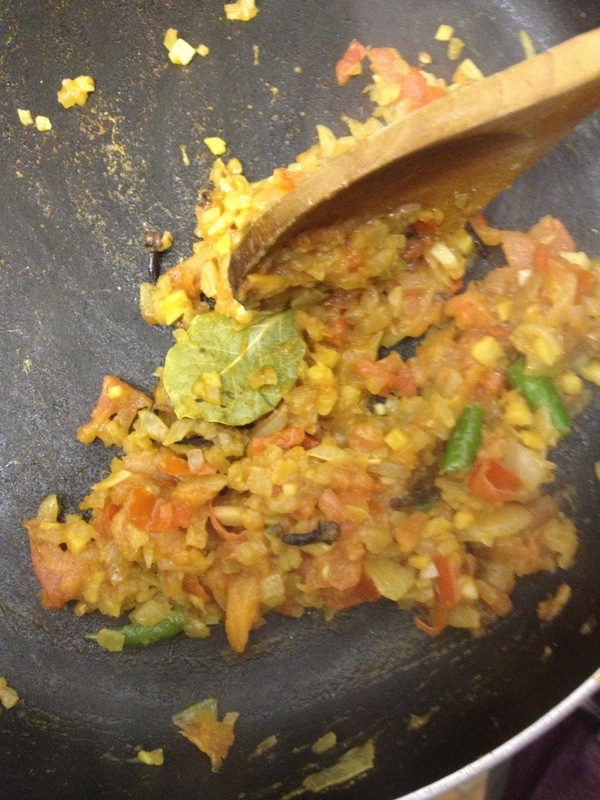 Stir and fry for another 5 minutes and serve hot with rice and chicken curry! 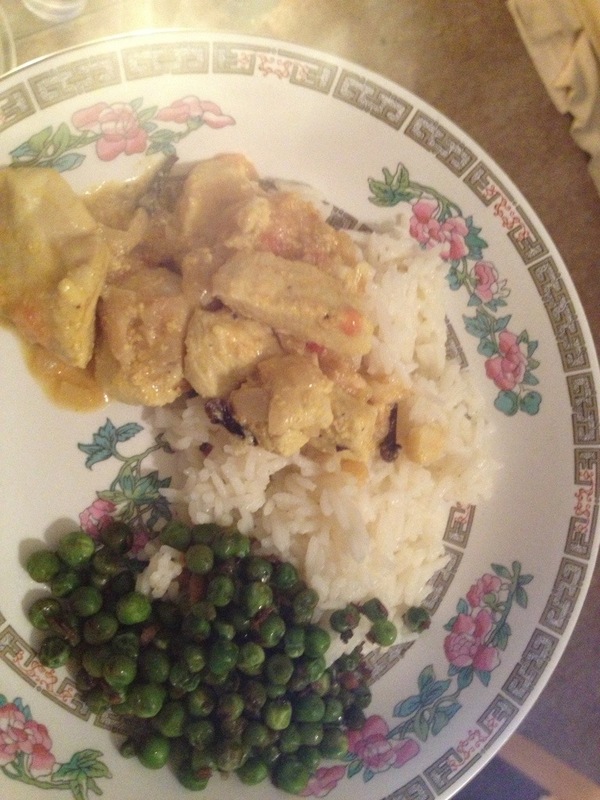 Pingback: Day 11/15: Curried Protein | the misadventures of a cooking monster.. om nom!